The Chromebook ecosystem soared in 2017, thanks to the adoption of devices in schools and colleges. 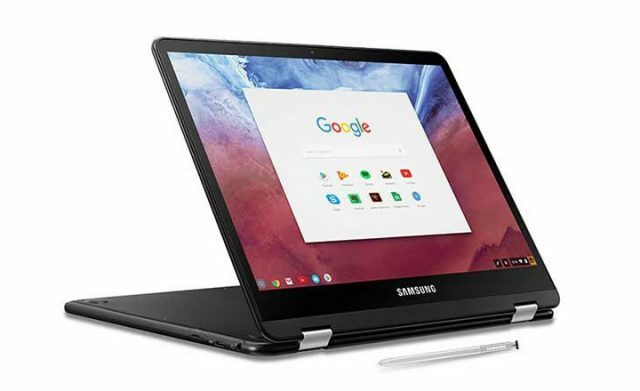 Samsung launched the Chromebook Pro and Plus earlier in 2017, making it one of the most notable hardware makers partaking in this growth spurt. From what we know, Samsung’s Nautilus is expected to boast a detachable design this time around. It has already experimented with a 360-degree convertible design on the Chromebook Pro and Plus models, both of which have performed quite well in the market. But, the Nautilus Project will most likely favor a design similar to Microsoft’s Surface Book, where you can detach the screen to use it as a standalone tablet. Samsung developing a top-of-the-line Chromebook is fantastic news for those wanting to purchase a multi-utility device with impeccable aesthetics. With Google improving the way Android apps work on Chrome OS, Chromebooks may be a force to reckon with in 2018. The Pixelbook may currently be the go-to choice for users looking at the high-end of the spectrum, but looks like it will have some serious competition soon. There’s no word on a release date for ‘Nautilus’ device, but it is possible we get an official unveiling at CES later this month.